At Radiant Dental Group, Surrey Dentist Dr. Jeevan Gill and the entire Radiant team pride ourselves on offering complete dental care to our patients in a welcoming environment. 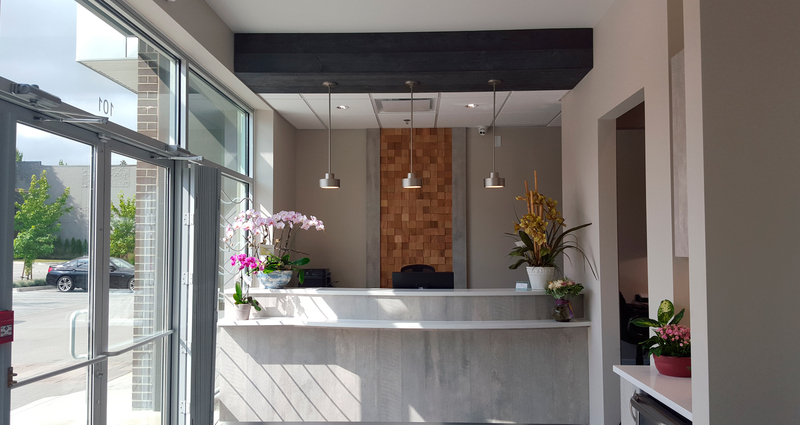 We feel that a dental visit should always be a positive experience, so we make patient comfort a priority, from our new office and clinic environment, to our friendly, professional approach. We also make use of the latest technology and advanced healing techniques to minimize discomfort during dental procedures. Preventative Care – Dental hygiene appointments keep your teeth clean and your gums healthy and regular dental exams with your Surrey Dentist can detect issues early on, so they can be treated before major problems develop. Restorative Care – When dental problems do develop, damage, decay, and gum disease can be treated with amalgam-free fillings, endodontics (root canal), or periodontics (gum treatment). Cosmetic Dentistry – If your smile doesn’t make you happy, there are many options for improving it, including Whitening to make it brighter, Veneers to make teeth whiter and more even, Dental Implants, Bridges, and Crowns to replace missing teeth, and Invisalign® orthodontics to straighten and align teeth. Sedation Dentistry – For some patients, dental visits are a source of anxiety. We offer conscious oral sedation to relax you and make dental care a breeze. Neuromuscular Dentistry – If you are experiencing symptoms of TMJ or TMD, such as teeth and jaw pain, popping, or cracking, or migraines, treatment to correct a misaligned jaw and teeth may resolve the issues. Platelet Rich Fibrin – An advanced healing technique, PRF uses your own cells to accelerate healing after dental procedures, for faster recovery and reduced discomfort. Dr. Gill is one of the few Dentists in Surrey who offers this superior healing treatment. Keep your smile the best it can be with regular visits to your Dentist in Surrey, Dr. Jeevan Gill. Book an appointment to discuss your oral health and how Radiant Dental can help you keep your teeth and gums in optimal condition, as well as resolve any issues you have with your smile. Call for an appointment today.